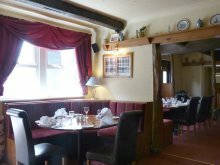 Should you prefer a more informal atmosphere than in the Restaurant, the Bridge's Brasserie is also open for lunch and dinner offering great home made bar meals. 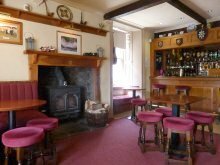 With over 30 malt whiskies and a selection of fine local real ales, the bar, also listed in the CAMRA Good Beer Guide and Good Food Guide, is the ideal place to meet and enjoy a pre- or post-dinner drink. Sharps Orchard Craft Cider, Carling, Grolsch 5%, Maclachlans, John Smiths and Guinness. Our cask ales can vary each week, these include Tartan Terror, Deuchars IPA, Killellan to name but a few. We have also recently introduced our own cask ale, brewed by Houston Brewery – Creebridge Golden Ale.